I love supporting local companies and using them in my kitchen. Turano Baking Company is a local Chicago bread company that puts out some amazing breads. They have these great French Rolls that were perfect for this sandwich and if you can find them in your local supermarket, I highly recommend using this brand for the sandwich. When toasted, they are light, crispy and crusty on the outside while being soft and tender on the inside. If you like your food on the spicy side, feel free to use hot sauce as liberally as you'd like in the recipe. You can add some heat to the shrimp before dredging in cornmeal/flour and frying; or you can add a few dashes of hot sauce to the mayo before spreading onto the roll or just add it to the sandwich when serving. This is one dish you can make it as spicy as you'd like! Heat the oil in a large sauce pan or preheat a deep fryer to 360 degrees F.
Season the shrimp with 1 tablespoon of Cajun seasoning. In a medium mixing bowl combine the flour and cornmeal and season with the remaining 2 tablespoons of Cajun seasoning. Dredge the shrimp in the seasoned flour mixture, coating the shrimp completely. Fry the shrimp in the hot oil, in batches if necessary, until golden brown, stirring constantly, about 4 minutes. Remove from the oil and drain on a paper-lined plate. Season with salt. Split the hoagie or French bread loaves in half and brush both cut sides of the bread with some of the melted butter. Using a spatula, spread the mayonnaise on both sides of the bread. Divide the shrimp evenly between the 2 sandwiches and garnish with the lettuce and tomato slices. Serve with potato chips, dill pickles and hot sauce if desired. How much shrimp is required for the recipe? I didn't see it listed above and would love to make this! 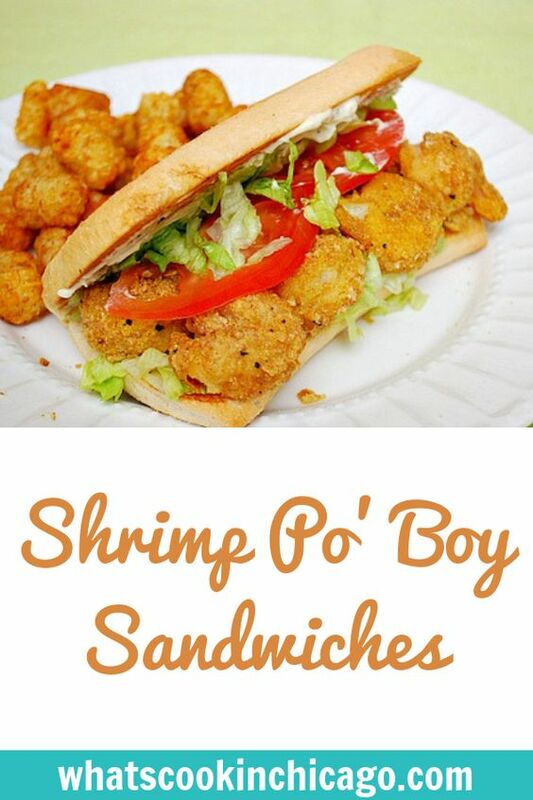 We are HUGE fans of shrimp po boys and can't get them locally. Sandwiches are so much better with "fancy bread." Silly, but true. Thanks for lovely recipe. 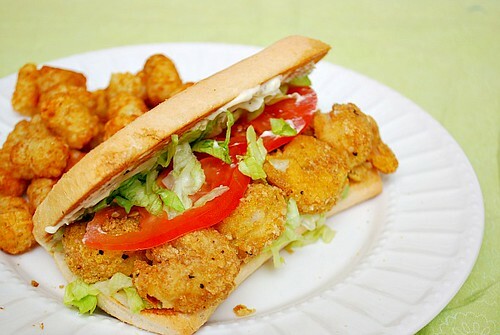 I like catfish Po Boy.. but will try this as well.. looking delicious.